The workshop will be held in room 414 (top floor) in the Amphimax building at the University of Lausanne (Switzerland). 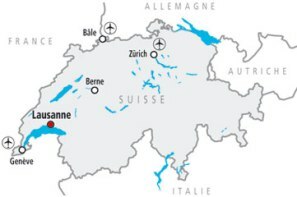 Lausanne can easily be reached by car (www.viamichelin.com), by rail (www.sbb.ch) and by plane (Geneva airport is closest). The best way to travel from Geneva Airport to Lausanne is by train. Tickets can be purchased from the ticket office or vending machines at Geneva station. There is a direct train from Geneva airport to Lausanne Gare, which runs c. 4 times an hour. The train journey lasts about 60 minutes and costs around CHF 27.- (one-way journey, second class). Both buses and metro lines operate within the city of Lausanne. To use them, you will need to purchase a ticket at a vending machine. If you are staying at a hotel, you will receive a free Lausanne transport card that allows for free travel in the city of Lausanne (zones 11, 12, 15, 16, 18, 19 – 2nd class). You can find the best deals via online booking sites like booking.com, ebookers.com and hotels.com. Moreover, we can recommend the following hotels: Lausanne Guesthouse (YTA), Hôtel du Marché (*), Hôtel Ibis (**), Hôtel Regina (***), Hôtel Aulac (***), Hôtel City (***), Hôtel Bellerive (***), and Hôtel Alpha-Palmiers (****).